Large enough to carry all your beauty necessities, this gorgeous hand-embroidered make-up bag from Emma Lomax is a handbag essential. 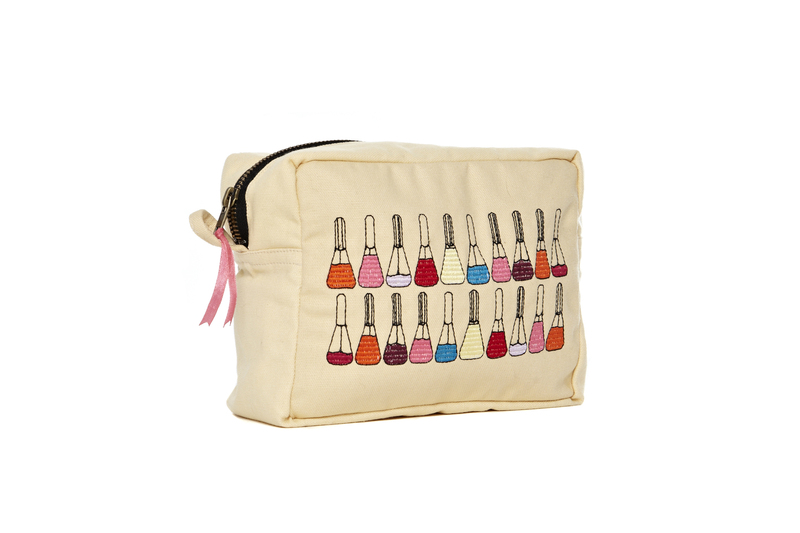 Fully lined, this make-up bag is water-resistant and closes with a zip. Emma Lomax is a Fine Art Graduate with a lifelong passion for embroidery and the home-made. Emma decided to mix her passion, experience and skill to create wittily stitched, high quality, ethical sourced canvas bags. Each piece is lovingly finished by hand, making every one an original. This further allows the owner to feel individual and unique. We just love and a must check out!